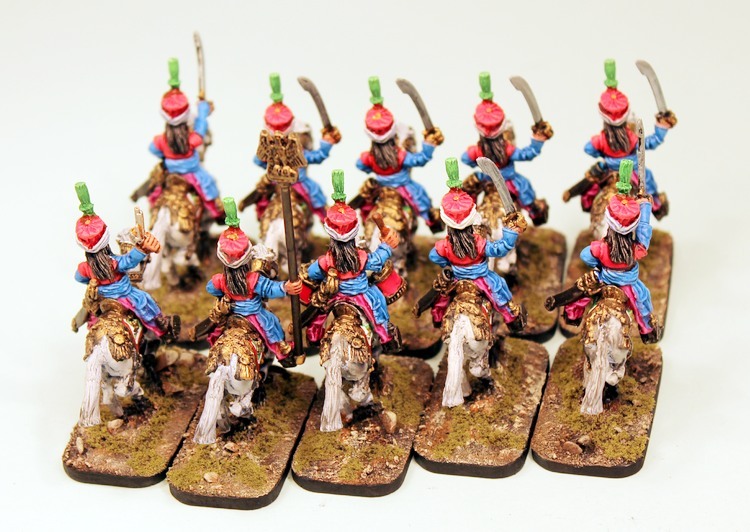 Alternative Armies: 51524 7th Chassuers de Mamaluk Elf Cavalry released for Flintloque! 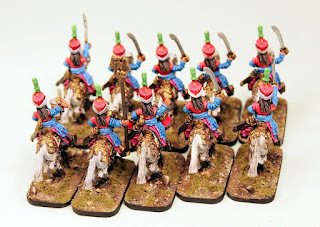 51524 7th Chassuers de Mamaluk Elf Cavalry released for Flintloque! 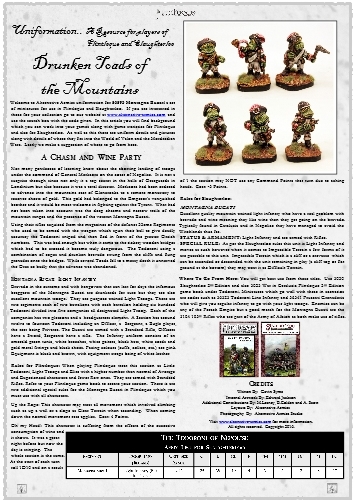 Alternative Armies presents the second of two big releases for Flintloque and Slaughterloo for the month of October 2016 and our last for the month too. Both are online now and today we focus upon the re-mastered and expanded in terms of its poses and now released are the fabulous 51524 7th Chassuers de Mamaluk de Aegypt cavalry for the Army of Armorica. 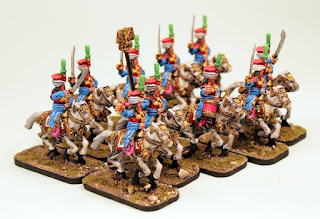 They fight in the sands of Aegypt but also in Catalucia following their Emperor. 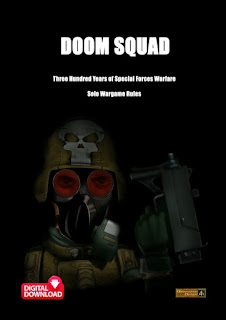 Go HERE or read on. 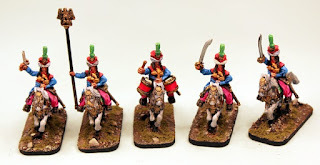 These miniatures are 28mm scale white metal and are in the following poses. An officer armed with a High Elf Pistol, a musician with kettle drums, a standard bearer with eagle pole, a trooper with sword raised and a trooper with separate sword arm. All are wearing Mamaluk gaudy uniform and are supplied with a horse richly attired in Aegpytian style. 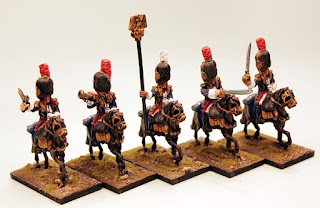 You can choose from a skirmish pack of five cavalry with one of each pose, a unit of ten which contains five more mixed troopers and a trooper booster which has one random trooper. These options can also be selected as Pro-Painted and Based all using the drop down menu on the product page. 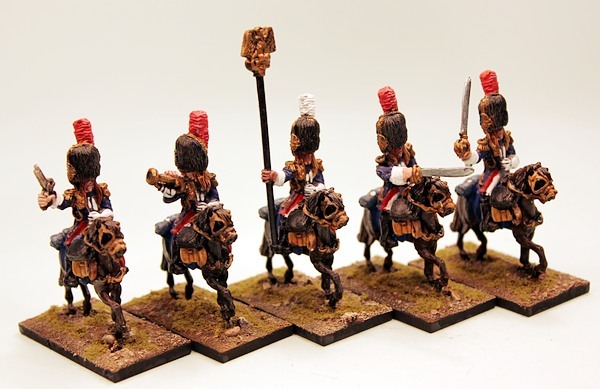 These miniatures are supplied with a Rectangle resin cartouche bases. Manufactured in Scotland. Go HERE.